LSI International, Division of Medical Outfitters, is the value-leading distributor of electrodes, tables, pillows, lotions, headrest paper, orthopedic, rehabilitation and other chiropractic supplies. 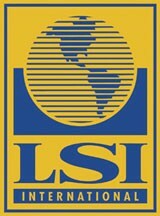 LSI International's 75,000 square foot warehouse provides prompt delivery of the products you need. The System IV offers both true interferential and pre-modulated interferential therapy. Intended for relief of chronic intractable pain, acute post-traumatic pain, relaxation of muscle spasm, prevention or retardation of disuse atrophy, muscle re-education and maintaining or increasing range of motion. User friendly microprocessor controlled for precise operation. Provides versatility of treatment from 4 channels. (8 electrodes). Also allows treatment at two sites simultaneously. Side A & B provide separate timer and frequency control. The System IV comes with 8 packs of 2x2 and 8 packs of 2x4 electrodes. The new LSI Silver Tab Repositionable Electrodes are even easier to use and they will save you money. The intuitive lift tab for easy removal helps to prevent accidental pulling on the lead wire thus also extending the life of each electrode. 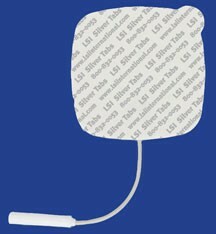 The Silver Tab Repositionable Electrodes provide patient comfort as well. They incorporate a silver ink/carbon film conductive layer, which provides greater efficacy and patient comfort. These electrodes are long-lasting. They are manufactured with high quality hydrogel which provides excellent adhesion performance. They also fit most leads. Their soft molded, high strength connection socket easily expands to allow over-sized mating pins. LSI's Silver Tab Repositionable Electrodes' convenient double-sided liner allows them to be returned to either side of the liner in-between uses. They are available in 2" by 2" and in 2" by 4" sizes and come as four per package. LSI International also offers their popular System II, System IV Interferential Stimulators and MS400 Muscle Stimulator. 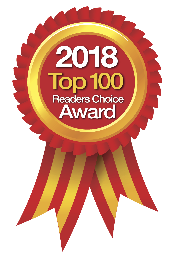 They feature a full range of electrotherapy, exercise and rehab, massage therapy, orthopedics, pillows and cushions, topical analgesics, treatment tables, and supplies needed by the chiropractor, massage or physical therapist and other healthcare professionals. LSI International can provide you with easy, economical access to products that help you give your patients the very best treatment. LSI offers you the convenience of no minimum order with a high fill rate and they ship within 24 hours (drop-shipped equipment excluded) with no service or handling charges.